Just last September, I called Dave Stieb the greatest starting pitcher in Toronto Blue Jays history. I have Roy Halladay at number two on that list. It's now nine months later and the order remains the same, but the gap is closing. The Jays beat Kansas City 4-0 today at the ballpark formerly known as Skydome. Roy Halladay became MLB's first 10-game winner, throwing the 12th shutout and 43rd complete game of his career. He threw 97 pitches for his 11th complete game since 2000 in which he has thrown fewer than 100 pitches. Halladay has thrown more than seven innings in all 13 starts this season. In the divisional era, he is tied with Curt Schilling for the third-best streak in the majors. There are no typos up there. 97 pitches, 10th win of the season, back-to-back complete games... this throw back is on a mission to become the best starter in Blue Jays history. At this rate, I'll be making the call before Labour Day. Not sure how this is possible as Doc has been the best pitcher in baseball since 2002. Doc is far and away #1. Elvis, you're almost right. Like I said, it's close. I'm predicting Halladay passes Stieb this season and I'll make a big deal out of it when he does. It's not even close. Stieb NEVER dominated MLB the way Doc does or for as long as Doc has. Live in the now. Elvis, I appreciate your opinion, but this time it's wrong. You youngins don't remember Dave Stieb. I do. Dave Stieb was far better than his numbers let on and he's holding a very slight lead over Halladay as the greatest Jays starter of all-time. Far better than his numbers let on? WHAT? Stieb played for the Blue Jays when they were constant winners in the AL East, when they had the highest payroll in MLB and were winning pennants and still doesn't have the numbers Doc does. The Jays have SUCKED every year Doc has pitched and he still leads the Majors in multiple categories since 2002. Oh yah, I forgot - how many Cy Youngs did Stieb win? Doc is a HOFer...Stieb doesn't even come close. You're calling me a youngin'? I think you might be retarded. Elvis, I'm talking about the three years prior to our first pennant. 1982-1985. Before the huge payroll and back-to-back World Series. I love Doc, but he's still #2. But stay tuned!!! I don't know Mike, I would say Doc is by far and away the better pitcher, you are basing it on career stats, Doc is going to blow away Steib's numbers in the end. Steib was great and one of the best in Jays History but Doc is by far and away THE Best and hes not done. Ok fine, let's look at the stats of Stieb from '82-85 (age 24-27) and Halladay from 2001-04 (age 24-27). Yes, this is super subjective, and nobody is a bigger Halladay fan than yours truly, who attended his first career start (8 2/3 innings of no-hit ball!) and sings his praises at every opportunity, but I remember what Stieb brought in the 80s. I remember that slider, that intensity, those near no-hitters before finally getting one. I'm giving Stieb a slim edge at this point, but acknowledging Halladay is only a few more gems away from passing him. 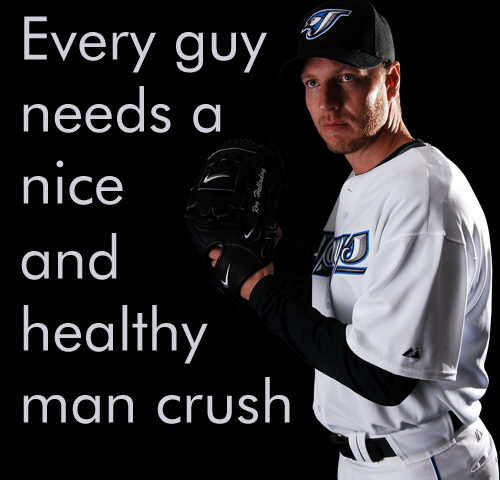 Halladay doesn't look as far behind now does he? Toronto Mike, I applaud your even-handed view of things. You're in command of your stats, and you're open to arguments. Most of what I'm laying out here isn't directed at you, then, but just meant to buff the Stieb reputation. Stieb was the best pitcher in the AL - possibly in all of baseball - from 1981-1985, and went 51-22 from '88-'90. He certainly hit his stride at a younger age than did Halladay. Once he made the majors there was no turning back. The Jays team became very competitive in 1983, and were undoubtedly a better-balanced team in those days than Halladay's squads. But before Tom Henke's July '85 callup, the Blue Jay achilles' heel was its back-end pitching staff. They blew games. Often. And as one of the Jay starters more geared towards pitching into the eighth and ninth innings, Stieb turned a lot of close games over to the likes of Roy Lee Jackson, Joey McLaughlin and Bill Caudill when they were still his team's to win, and seemed to lose four or five slam-dunk wins every season as a result. In 1992-93 I compiled a register of Stieb's 400-odd starts, which would support that claim. The first is priceless. There isn't a boxscore or an "adjusted" stat you can't source out. The second is more hypothetical, but within, you'll find its writers have inducted Stieb into their "Hall of Merit", a sort of alternate Hall of Fame. There are only 63 pitchers in the HoM; interestingly, Jack Morris, perceived as Stieb's main competition for "pitcher of the 1980s" honour, is not in that list. You know what's going to happen? We're never actually going to know who the best was/is. Dave Stieb's career as a superstar ended May 22, 1991, when A's utility infielder Ernest Riles collided with him in a tough double-play at first base. Stieb was 4-2, 3.23 at game time, coming off an 18-6, 2.93 season. He was 33 - a year older than Halladay is now - and his team was about to win three successive AL East titles with Robbie Alomar and Devon White playing Gold Glove-calibre defense up the middle behind him, a marked improvement over '90s Lee/Liriano and Mookie Wilson mediocrities. Halladay is going to get traded in the middle of a season in which he starts the All-Star game (something Stieb did twice, in 1983 and 1984; how many guys are good enough to sport a .500 record in All-Star games?! ), and leaves a few more potentially great seasons on the table. Halladay will finish second to Stieb in most starter categories. When the dust settles and the romanticism fades (recall the night after Pat Hentgen's retirement, the SportsNet poll placed him at #1 all-time! ), the result will be split along age divisions: the oldsters for Stieb and the young'uns for Halladay. I think the sheer weight of Stieb's longer service will keep him slightly ahead, as he still is today, days after the 30th anniversary of his first Jays win. Today's Jays fans would've LOVED this guy. Boy, did he wear his heart on his sleeve. Absolutely riveting. I only caught one small gaffe on your part: September 27, 1998 was actually Halladay's second start. And when Bobby Higginson broke his no-hit bid up with two out in the ninth, the home run ball sailed over the left field fence into the Jays' 'pen, where it caromed off the wall and landed in the mitt of...Dave Stieb. I watched that one from the 200s, my mouth agape at the insane irony.